Hand-formed art glass in hues of turquoise and gold. Vertical ribbing ascends each vase as it widens. When the glass is still molten hot, the mouths are folded inward forming an irregular, double-sided rim. 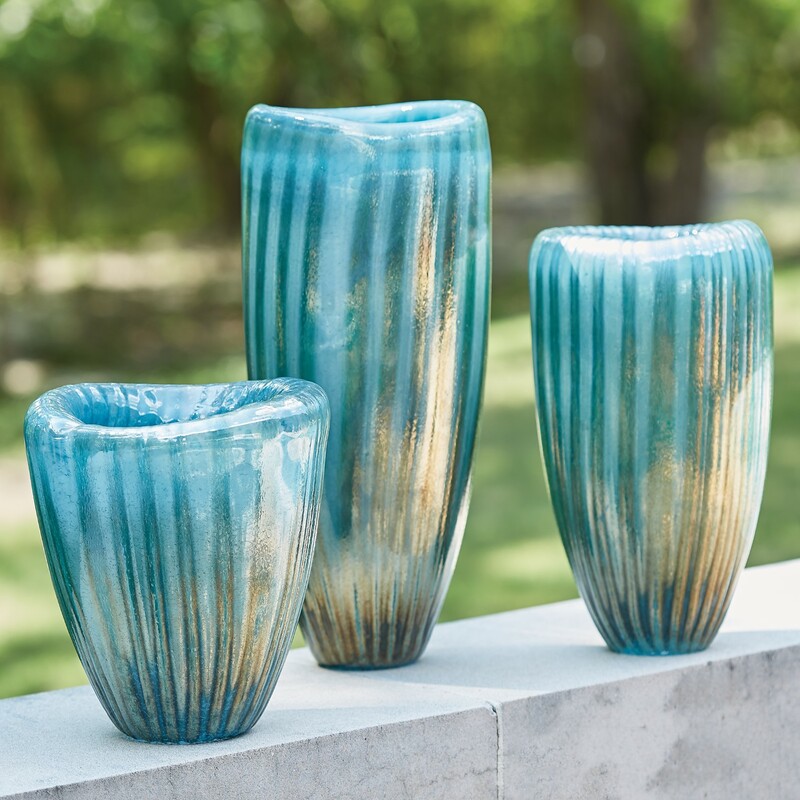 Each is unique in color and shape due to the hand-crafted nature of each vase. Available in three sizes.